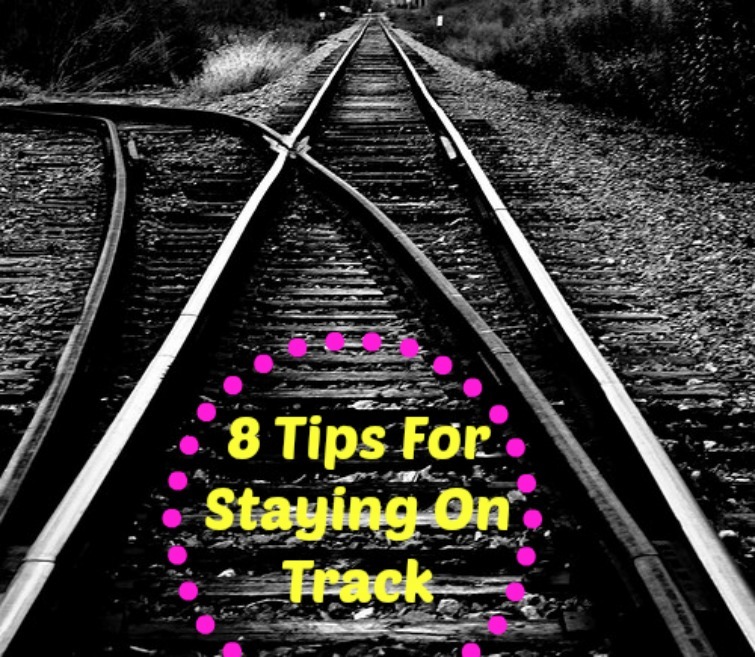 8 Tips For Staying On Track - Welcome to SarahKesseli.com! Finding ways to eat healthy may seem challenging, but with a few simple tips it is easy to make better choices! Here are 8 great tips to help keep your meals healthy and tasty! Eat Seasonal – Choosing fruits and vegetables that are in season will ensure that you are eating the most flavor packed foods! The better the flavor, the more you will enjoy them! “Spice” Things Up – Experimenting with different herbs and spices will help keep your meals exciting and your taste buds happy! Punch Up Your Protein – Protein is more satisfying than both carbs and fat, so eating it with every meal will help keep you full longer! Eat Whole – Whole grains, that is! Whole grains are packed with fiber which will help keep you full longer and your digestive system moving! Kick those processed carbs to the curb! Befriend Fat – Including heart healthy fats in your diet like avocado, almonds and olive oil will help keep you full and satisfied! Stop Shaking – Unless, it’s on the dance floor, put down that shaker! Too much salt can lead to high blood pressure! Bust Sugar – Cut added sugar by eating fresh fruit to curb your cravings! Think season berries, melons, etc. Nothing beats natures ‘candy’! Revamp Your Favorites – Including your favorite dishes in your meal plan is important! Find ways to make them healthier so you can enjoy them more often! Think leaner cuts of meat, a little less salt, half the amount of oil, etc! With these simple tips you are sure to be eating for your health! Remember, life is to be enjoyed! Let’s live a long, strong and healthy one! *How do YOU stay on track? *What is your favorite tip? *What is your favorite way to spice up your meals?